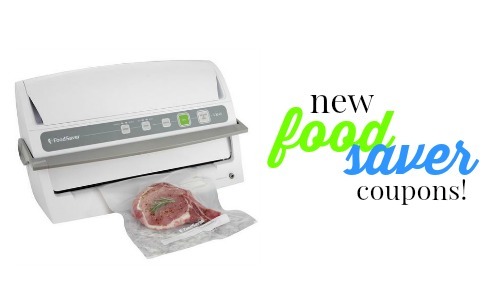 There are 4 new FoodSaver coupons to help you save on rolls, bags and containers. We use our FoodSaver all the time so saving on these items is wonderful. If you don’t have a FoodSaver they are super great and help you store food in your freezer or fridge in a safe an way and keeps food fresh longer. See all the new printable coupons for the first of the month.